Have a Lyme positive dog? Just checked a UPC and not sure how to interpret it? All the webinars are recorded and can be viewed 24/7 after their release date for CE credit. If you’re watching the recording later on, don’t forget to take the CE quiz with it when you’re done to get your CE certificate! *Note: Viewing this webinar is for individual use only; VETgirl webinars are not designed nor meant to be viewed in a group setting due to RACE-CE audit purposes. Inappropriate sharing or viewing of the webinar may result in revoking of membership. I am not seeing anyplace to register for this as an individual webinar. 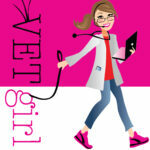 There is a large, pink REGISTER HERE button you will see when logged in as an ELITE VETgirl member to register. But you want to watch this VETgirl webinar for CE credit?